In the comparative tire test conducted by Swedish automobile magazine Vi Bilägare, the new PremiumContact 6 from Continental triumphed over four competitors from European, American and Asian brands. The magazine’s experts tested SUV-size 235/50 R 18 tires with a current VW Tiguan as the test vehicle. Summing up, the testers had special praise for the Continental tire’s short braking distances on dry asphalt, its good wet grip and its handling characteristics on wet and dry roads. The test report appears in the latest edition of the magazine. This test victory provides further proof of the technology leadership of Continental’s premium tires. Only recently, for example, the PremiumContact 6 in size 225/50 R 17 triumphed in the grand 2017 AutoBild summer tire test, outperforming 51 competitor models (issue 17/17). The magazine accredited the tire with “short braking distances in the wet and dry” as well as “the best driving characteristics on wet and dry roads”, praising its “dynamic handling performance with a precise steering response” and its “superior mileage” – an attribute that also won it the title of “Eco-Champion”. The new PremiumContact 6 is gradually replacing its two predecessors, the ContiSportContact 5 and the ContiPremiumContact 5. In its first year, the new tire will already be available in 70 sizes, for rims from 16 to 21 inches to fit passenger cars and SUVs. For the latest overview of the available sizes, please visit www.continental-tires.com. Despite the fact that tires are the only link between the vehicle and the road, their importance is often underestimated. With their excellent braking characteristics, the tires from the premium Continental brand make a direct contribution to greater road safety and thus also to realizing Continental’s strategic target of “Vision Zero”. 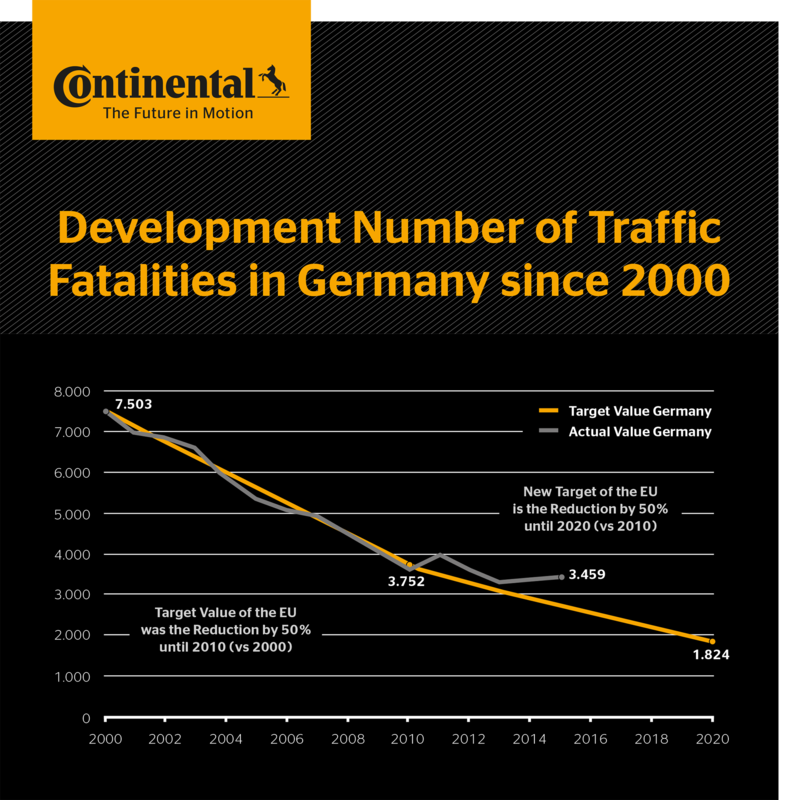 With its numerous accident prevention technologies, this internationally leading technology group is actively pursuing a reduction in the number of fatalities, injuries and accidents on the roads.